SmugMug has revealed the new design of its photo sharing site, aimed to increase web customization capabilities and photo organization. The website now features new templates and themes, customization tools, a new photo organizer and responsive design to make SmugMug fit any screen. The new site, which CEO Don MacAskill considers “an entirely new product built from the ground up,” is focused completely on aesthetics and personalization. Customers choose from over 20 different templates and can change colors and themes for each one. They can also customize the layout of how photos are displayed, and bring the picture to full-screen when clicked. All these options are accessible with the page tool kit, so users don’t need any technical HTML or CSS experience. SmugMug’s organizer allows users to view their entire library of photos, and then simply click and drag where they want their photos to go. Users can modify gallery settings all at once, and have greater control over privacy settings. The end result is a sleek and personal page to display photos and videos, with the ability to constantly edit your work without it showing until you are ready. Current users still see their old SmugMug sites upon login, but they can start using the new version by transferring all their photos over and customizing their layouts. The layouts will remain private until users chooses to reveal their new sites. Similar photo sharing sites such as Flickr and Photobucket offer free accounts, an option SmugMug doesn’t have. 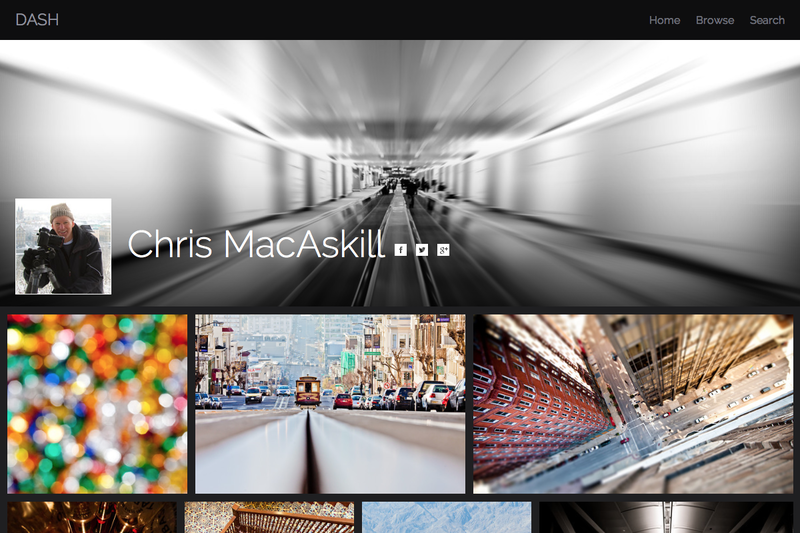 Flickr also revamped its layout in May, when the competitor reported 89 million users and over 8 billion photos shared. SmugMug’s pricing model could be a deterrent for those who just want a simple platform to share photos. However, MacAskill says SmugMug caters to peoples’ desire to customize. Templates and themes are available for the most basic account, but users have to upgrade to pro to get full customization. MacAskill says with the new launch, the basic account now supports unlimited video uploads. With unlimited storage and design choices, the SmugMug website is a useful upgrade for those who take their photography sites very seriously. Founded in 2002, SmugMug is a bootstrapped company, but MacAskill says it has been profitable for more than three years. He declined to disclose the number of users or company revenue. Customers pay $5 to $35 a month to use the website, and new users can test it out for free for 14 days. MacAskill says about 30 percent of users have professional accounts. SmugMug also has an app comparable to Instagram, called Camera Awesome, which reached 13 million users in February.